Continue beating until well combined – do not over-beat as the frosting can split. Spread between layers and on top and sides of cake and garnish. No baking powder for this recipe? Ur other recipe has 25g of cocoa, is that the same as 15ml? Hi. I noticed whenever I use bicarb, the cake will rise and then sink after a while? can you explain why this happens? I have also read that if you add to much of food colouring, this can make the cake very dry? Hi Preni, I have not experienced this when I use bicarb. I do know that when using a recipe that contains bicarb – I generally opt for one that has an acidic ingredient like buttermilk or yoghurt to make it the perfect raising agent. 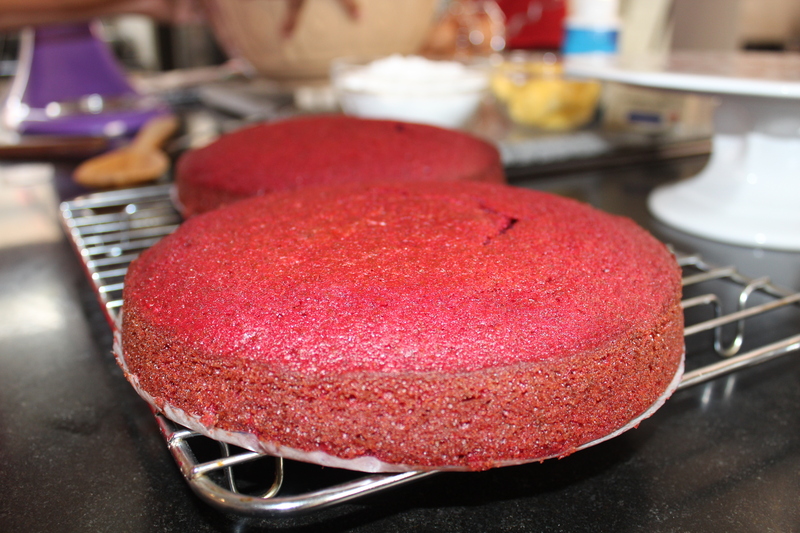 I have also not experienced food colouring making a cake dry but if you are concerned give the red velvet cake a bash – tried and tested as you can see from the show. Good luck with your baking. 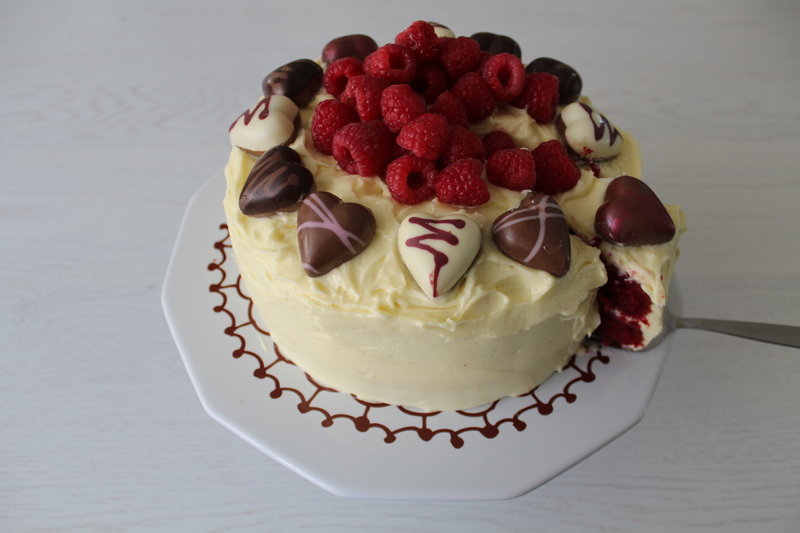 I am gonna try your Red Velvet Cake receipe Today. Hope I don’t flop. Thanx for the great Receipes. I did however expertise some technical points using this site, since I experienced to reload the site lots of times previous to I could get it to load correctly. Tried this beautiful recipe and its nothing short of being simply gorgeous, I searched a long time for a fail proof Red Velvet Cake recipe that I myself could use and share and i finally found it 🙂 JOY. Many many thanks. I want to try your yummy red velvet cake but how can I print the recipes? I would just copy and paste…then print! Let me know if it works! Or I could just email you??? Happy baking! hi yudika , i have used this recipe , ever since i saw you on the show , amazing and the best recipe ever , please will you send more recipes . Stay tuned, Stacey! There are more recipes what will be posted! Glad that you enjoyed the red velvet cake. Hi Yudhika. I just want to say I tried ypur recipe and the cake was absoloutely delicious! Everyone complimented me and they were very impressed. Hi Bev…sorry to hear about the allergy! I will have to go back to the drawing board on this! Hi can’t marg be used instead of oil or half of marg n oil.